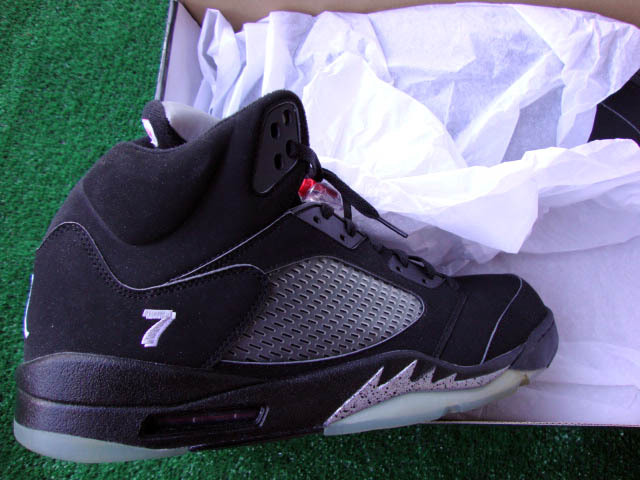 It's another edition of the best and worst on the eBay sneaker market, featuring Toni Kukoc PE Air Jordan V's. These are definitely something you don't see on eBay everyday. MJ hooked his former teammate Tony Kukoc up with Air Jordans during his days with the Milwaukee Bucks and Atlanta Hawks. 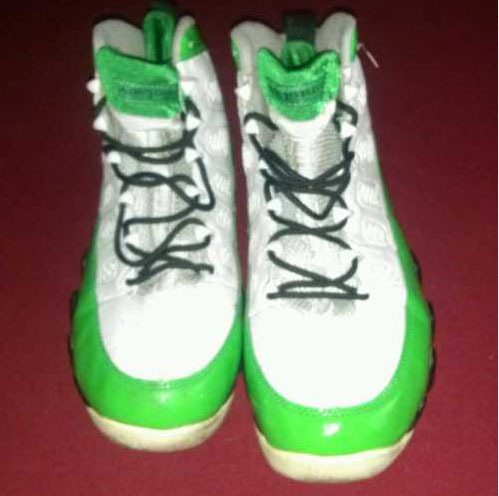 These apparently were from his time with the Hawks, since they wouldn't match the Bucks' purple and green uniforms very well. 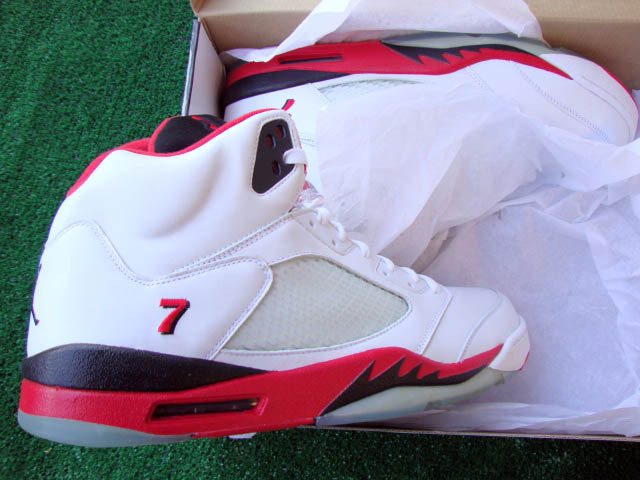 Check out this seller's "Metallic" and "Fire Red" PE's with Toni's #7 at the heel which are both currently over $300, and sure to go up before the auctions end. 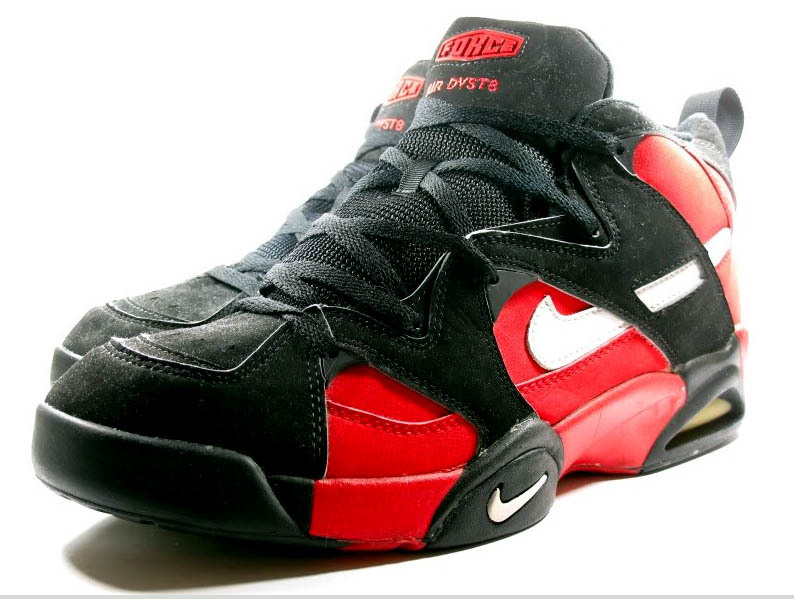 From 1995 comes this fresh pair of Nike Air DVST8's. The Air DVST8 was a lower budget model on Nike's FORCE line that didn't gain much attention in its time, but has aged quite nicely. 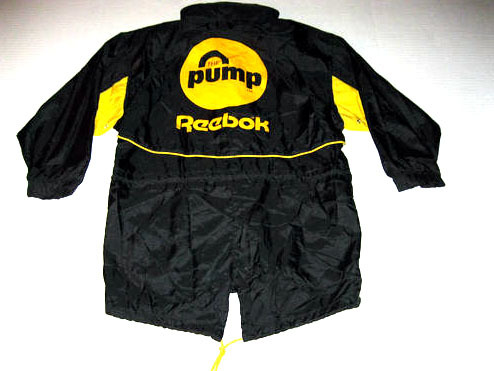 This is pretty much its best colorway in great condition with the original box. If you're a size 12.5 and want to rock something that nobody else is gonna have, check them out HERE. The price on these are insane at $1,100 but they are still pretty cool...if you're a Derek Fisher fan. 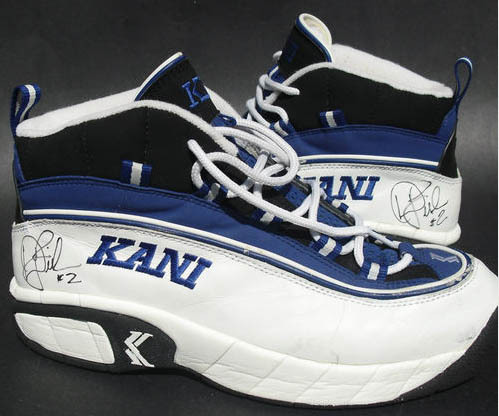 Or maybe your just a collector of Karl Kani basketball shoes? If so, feel free to pick them up HERE, before nobody else does. 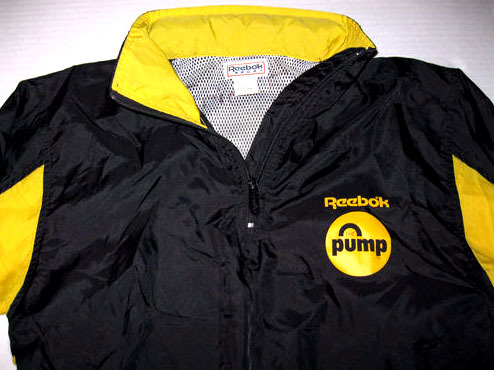 Here is a cool piece for any Reebok collector: a vintage black and yellow Pump logo jacket. 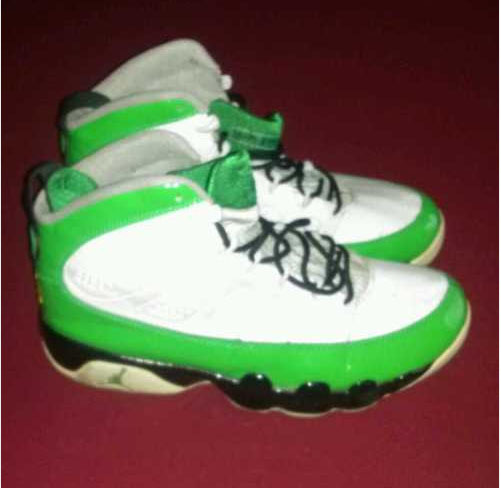 Ray Allen PE's?! Not quite. I'm not sure which is worse, the shoes or the terrible photos the seller took of them. Disclaimer: Sole Collector does not vouch for the authenticity of any shoe or its seller. If you choose to bid, bid at your own risk.